Every year my college roommates go away for a ski weekend to catch up and have a little girl time. This year, two of us badly hurt our knees so sadly, skiing was out. Instead, we decided to spend a weekend on quiet long island filled with food, wine and fresh air. 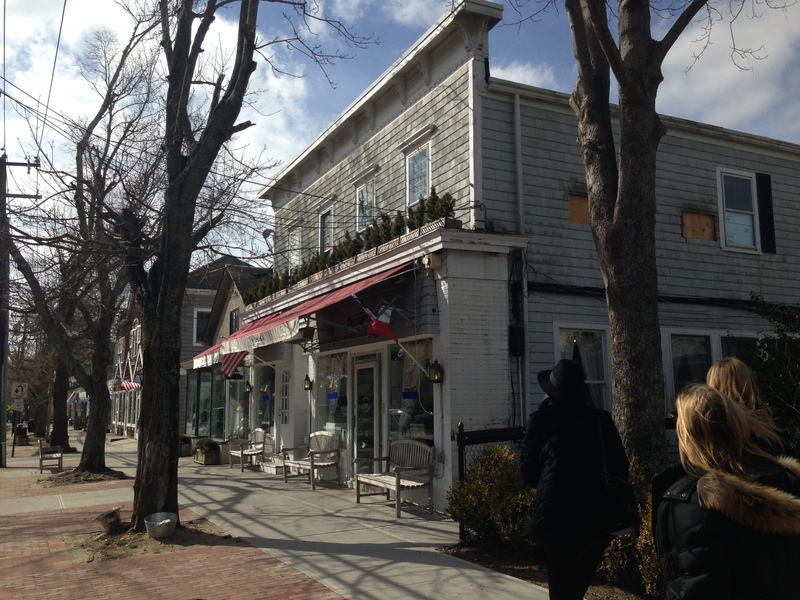 While the Hamptons and surrounding towns of Long Island are flooded with beach goers and scene seekers in the summertime, what many people don’t realize is how amazing it is in the off-season. Many of the amazing restaurants are open year-round and without the hours-long waits. 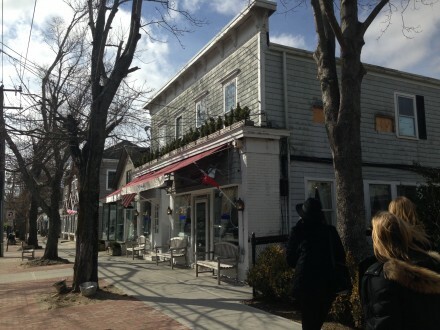 Pierre’s is one of my favorite restaurants in the Hampton’s regardless of the season. 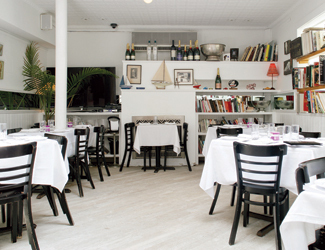 It is a French bistro that specializes in seafood owned and run by Pierre Weber – a fifth generation pastry chef. 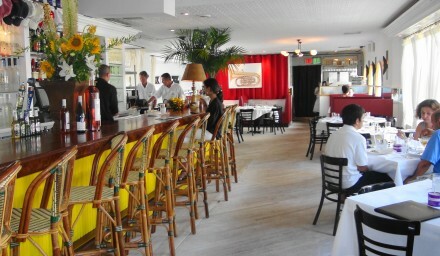 The vibe is the perfect combination of beachy and French with bright light shining in through a big skylight in the main dining area. By night the vibe transforms to a cozy, warmly lit ambiance where the fireplace in the back becomes the center of attention. Their website notes that the dining room is decorated in the spirit of St. Barths which might explain why you feel compelled to order a few bottles of rosé with your meal. The six of us were seated at the sunlit table in the back under skylight for our brunch. 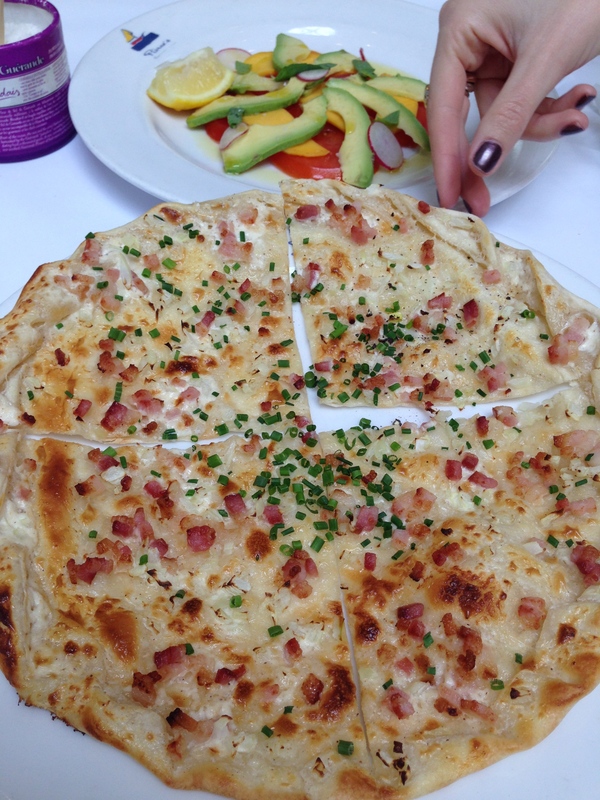 First we shared a tarte flambée which may look like a slightly naked pizza but actually packs a flavorful punch, The buttery crust is crispy and tender and is topped with bits of salty bacon, onions and chives. This is a must order. To add some color to our meal we ordered a beautiful salad of tomatoes, mango and avocado. Next I had the lobster eggs benedict which was like a rich lobster roll with hollandaise and a poached egg. 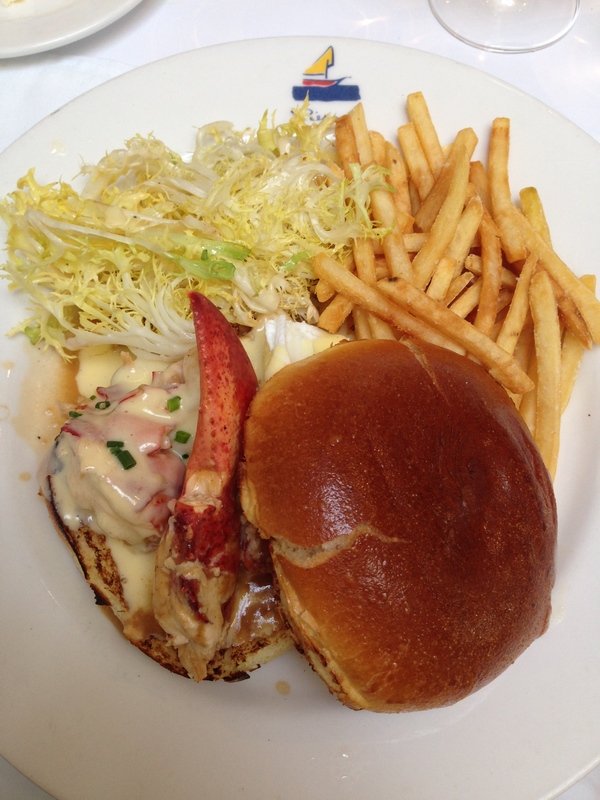 The lobster was flambéed with cognac and tarragon on a brioche bun. Served with a small frisée salad and some shoestring fries, this may not have been the healthiest choice but it was certainly delicious! Of course they have some lighter and healthier options on the menu as well and make some delicious fresh smoothies and juices. Pierre’s is a no-fail choice for any meal at any time of year.